You might be a bit surprised at the “holiday” decorations at New Zealand’s Wellington Airport, but don’t fear, as long as you’re not a fish… or the Precious, you should be just fine. Suspended from the ceiling at Wellington Airport is a familiar face to Lord of the Rings fans. Gollum and three “juicy sweet fishes” were designed by Richard Taylor and Weta’s Workshop supervisor Rob Gilles. The airport has renamed the terminal where Smeagol is housed “The Middle of Middle-Earth.” The sculpture was 3D-modeled within the display space of the airport and then created by a team of 18 sculptors, model makers, painters, and artists in nine separate components. The piece weighs 2645 pounds (over a metric ton) and stretches 42 feet (13 meters). We couldn’t wait to see Gollum again in The Hobbit; It’s just awesome that now he can meet us at the airport. 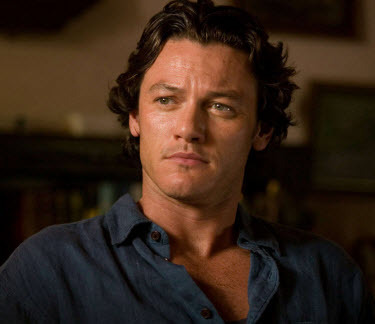 A little while ago, Collider was also able to interview Luke Evans on his role in The Hobbit movies. 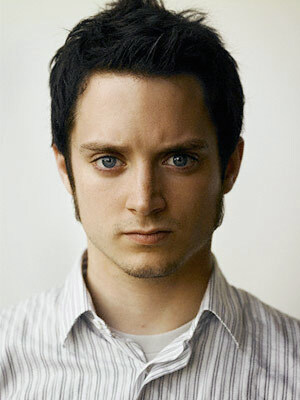 He’ll be playing Bard the Bowman, who is basically, a man with a bow. So, yes, we won’t be getting a full share of Legolas this time around, but there will still be someone with a bow and arrows. For those of you who haven’t gotten your fill of heroes and heroines with bows and arrows, here’s your chance to satiate that longing once again. Collider: How has it been going for you and how exciting it’s been for you to be involved in such a production? Evans: It’s been immensely exciting. It feels like all the work I’ve done so far has been building up to this job and to work with the master himself on a project which has been his baby since a long time ago. I feel very lucky to be here, you know. I’m watching this being made, and then watching Pete do his thing. Because you only have to read any articles about the boys who were in the first 3 movies and how they talked about the experience being in New Zealand and working with Pete and the long period of time that you spent here. I was just very jealous of them, in a healthy way, but it was something I was envious of. And now I’m here, and now I’m actually one of those boys. I’ll always remember this as one of those experiences in my life. It’s been fantastic, absolutely fantastic. We’re here ‘till July, so I’ve still got a few months left, some insane, tense months as well. So, yeah, it’s been great. Collider: When did you arrive in New Zealand? Because I know you’re in both parts, was this one of these things where you’re committing to being there for eight months, have you been able to leave? What’s this production schedule like? Evans: I’ve been here since last August; I arrived August the 1st last year. But, you know, on a movie of this scale there is a lot of down time, so I’ve had chances to go home a couple of times. But this block, I’ve been here since February and I’m here ‘till the end, so this is the longest stretch for me. Collider: I’m going to ask you a nerdy question: One of the thing I’m so excited about is that Peter Jackson is shooting The Hobbit movies on the Red Epic, with the 48 frames a second, rather then the 24. Evans: It’s the first time it’s ever been done. And it’s, well, even if you’re not a nerd you can absolutely see the difference, it’s extraordinary. Collider: Have you been looking at any of the playback on any of the monitors? Because one of the things I think casual fans will not realize what 48 frames a second does is reduces the motion blur. Have you seen any of the action without the motion blur and what does it look like through your eyes? Evans: Yeah, I’ve seen myself in action and it’s incredible. It really is. It’s the closest to your own eye speed that we’ve ever seen on screen. And it takes a little while, when you first put the glasses on, to just appreciate what it actually is that’s going on. Because you’re eyes are not deceiving you, there is no blur. It’s absolutely so effective, especially for the lack of blur, which is something that we’ve always had to deal with in shooting in 3D, and now we don’t. So, yeah, we’re making history with technology as well as with film. For more on this interview, including questions about his other works, check out the full article here. TF: Are you tinkering around with the character of Bard the Bowman? TF: What’s it like, walking onto that set for the first time? Evans: I can’t really describe it. When I first arrived I went straight to Bilbo’s house. I saw it on the big screen when I was 21 and there I was, walking around it in costume – a very special moment. I’ll look back on that in 20 years and hopefully be as proud as I am now. So, there you have it on Bard. As we get closer to opening day, we’re sure to see more info on the other characters of the film, so keep checking!